This article originally appeared in the Fall 2015 issue of Real Style magazine. 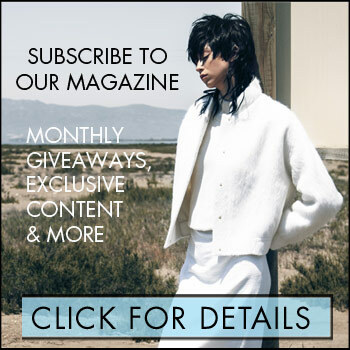 Become a Real Style subscriber and get the hottest fashion, beauty and celebrity news, enter exclusive subscriber giveaways and be the first to receive the full digital version of Real Style magazine. Click here to subscribe for free! A former Miss Teen USA and TV correspondent for Entertainment Tonight, Vanessa Lachey is one seriously busy mother of two! Now starring in NBC’s new show Truth Be Told, the gorgeous 34-year-old actress and model (who is married to singer-songwriter and former 98 Degrees frontman Nick Lachey) also recently played Camilla Whittemore on the Fox comedy series Dads. Despite her busy work life, Lachey has made time to grow her family, giving birth to a daughter, Brooklyn Elizabeth, in January, in addition to her two-year-old son, Camden. Lachey spoke with Real Style about her favourite beauty products and fitness tips. Real Style: With two little kids, how do you stay in such great shape? Do you have any favourite exercises? Vanessa Lachey: I believe ANY exercise or movement is good. Make it something you love and then you WILL do it! I work out three days a week with a trainer. I do this because I hate working out and need the motivation. He makes it fun for me. I know trainers can get expensive and not everyone wants to pay for one. I decided to cut back on other things in life financially so I can hire someone to train me. Health is extremely important to me even more so now that I have two kids I want to be around for. RS: And what about dieting? Do you do shakes or smoothies? VL: I just started having smoothies after my workouts. It’s a quick way to get nutrients, and it gives me so much energy after I’ve worked out hard for an hour. RS: How do you look after your skin? VL: I believe in consistency. Once I started with the same daily routine, I noticed a dramatic difference in my skin. I wash every day morning and night. I keep facial wash in my shower for easier access and so I never forget. I exfoliate every other day. And I use a light moisturizer during the day and a heavier one at night. RS: Do you get facials often? VL: I get facials from my friend Candice Miele in Beverly Hills as regularly as I can, but I have never done any serious treatments. Clean skin you take care of will last a while. RS: Which are your favorite beauty products? VL: I am obsessed right now with coconut oil. It’s great for my skin, hair and face. I use it right out of the shower. But only in my hair if I am not styling it, otherwise it weighs the hair down too much. VL: I always love trying new things. My favourite thing right now seems to be eye shadows or cheek highlighters with a little bit of shimmer. It looks so beautiful when it catches the light. RS: And when it comes to hair? VL: I like a light shampoo and light conditioner. I think a heavier conditioner is good once a week, or coconut oil fresh out of the jar right after your shower. Warm it in your hands and rub it all over. Do it on a night when you are staying in and snuggling on the couch. VL: Keep up with a good haircut; it makes ALL the difference in the world.